Basavakalyan Engineering College Bidar is recognized by VTU and offers undergraduate level courses in different branches of engineering. Read on to know more about the courses, admission procedure etc. Maharaja Institute of Technology is located near the historical city of Mysore. The college offer quality education and premium facilities to its students. Read on to know more about this engineering college. Cambridge Institute of Technology, KR Puram, Bangalore, offers UG and PG courses in engineering. Recruiters include Infosys, L&T Infotech, Wipro Infotech, Toyota , Indian Air Force etc. 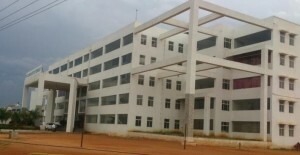 Vidya Vikas Institute of Engineering and Technology is one of the leading engineering colleges in Mysore. Learn more about the admission procedure and courses offered at this engineering college in Mysore.